If you could relate to the poem in Part I about falling in the same hole over and over again, it’s important to think about what ‘walking down another street’ really looks like. 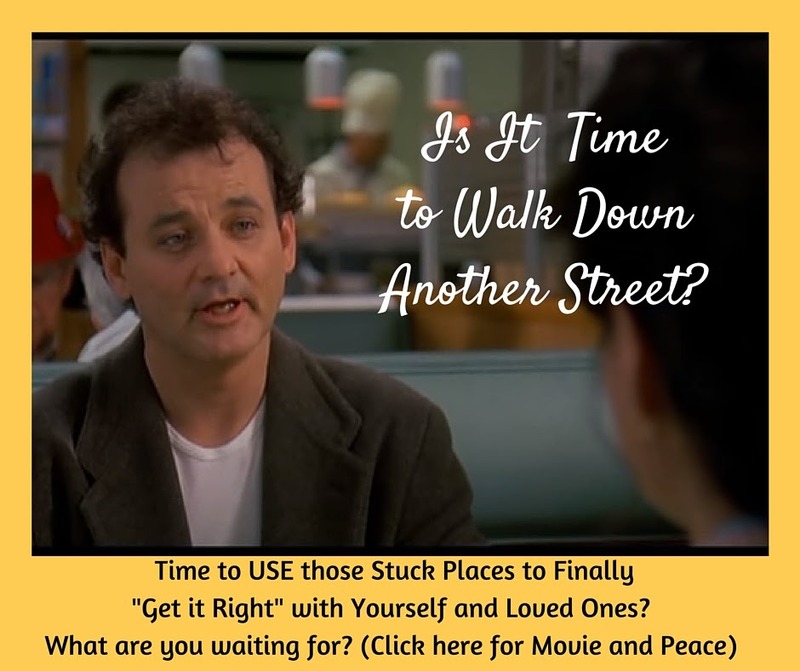 (CLICK HERE IF YOU MISSED THE “OTHER STREET” REFERENCE IN PART I Groundhog’s Day Post. It shares a classic poem about climbing out of the deep holes you keep falling into in your life!!!). Ask yourself….Are you really walking down that different street or just reading about it? I got an email from a client who started to do more than just read these emails; She joined our bootcamp and then did some individual work. Her email listed all the changes that have happened for her in just over 2 months of us working together, even after years of counseling and spiritual practice. It was RADICAL. 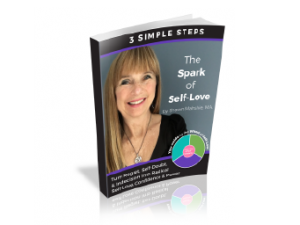 The changes were so FAST and COMPLETE–and at this updating she has sustained them for over 2 years–that from our past experiences we would not believe that kind of freedom possible. For example, she reported the chronic anxiety and even panic that was often at a 10 before had plunged and held at 1 or less, among other amazing and tangible changes. SHE IS TRULY WALKING DOWN ANOTHER STREET. Nor does it mean turning on the part of you that can’t do it any better because of what you are believing. Walking down another street doesn’t mean ignoring the thought that is scaring you or making you feel completely hopeless. True freedom does not lie in avoiding those ‘toxic’ people, situations, or thoughts. It means having a system to capitalize on our reactions to them. Walking down another street means stepping back and questioning that thinking to find out for yourself how everyone and everything (even a thought that we can clearly see plunges us into a victim stance) is just patiently holding the key to our freedom. It’s SO amazing after all these years to learn that walking down another street is NOT a new behavior or strategy to be learned or practiced. It is a lasting shift that unfolds organically from the inside out–as we begin to rely on the absolute symmetry contained in whatever upsets us. Walking down another street means living from a completely different paradigm with regard to what appears as the external world. It does not require needing others to change in order to be happy, It means I fall in love with ‘the way things are’ every time you notice that your mind truly DOESN’T KNOW what is going on here or what it means or whether a given outcome is ultimately good or bad. For me, it means that when I feel the sucker-punch of emotional pain that seems to be caused by a person or situation, I can (sometimes, by grace) rather quickly realize I am in the presence of a blessed teacher who has just shown me where I had abandoned myself–and them–to ally myself with a mind-made image of what “should be” happening instead. My reaction, when I am open to it, is the direct link to experiencing the freedom, peace, and love that was always right here. It isn’t something we get to by reading about it, or just by wanting it, by affirming over the thinking, or even by ‘becoming present’. That’s great when it works, but the thoughts I’m talking about won’t LET you let go of them–they are programmed to believe your survival is at stake. They will not let go until they have ‘seen for themselves’ that all is well and you are safe and there really is not a problem. Walking down another street is a great metaphor for the deep inner/outer prosperity and self-solidarity work we do here, because the neural pathways truly do get re-routed. Suddenly you find that you just aren’t going into those dark scary neighborhoods of your mind, that are full of traps and holes. At least not so often. And when you do, you know how to follow what hurts right back out. A Frolicking Game of Charades–Life and Loved Ones Acting it Out for US–! It seems we ‘farm out’ the part of ourselves that is played by others to act out our blind spots and demonstrate EXACTLY where we have separated from them, ourselves, and life. They SO skillfully mirror the most subtle ways we are hurting ourselves and others –these people and situations have the power to teach peace and self-solidarity (once we know what to do with them) in ways we couldn’t get a hold of otherwise. We are talking graduate-level evolution. I just did a session with someone who was angry enough at a very old dear friend–for something that friend ‘always’ does– to be ready to walk away completely. That’s how it works: those we depend on most, especially spouses, can incite rage when they don’t see us the way we a small part of us decided we need to be seen or treat us the way that little part of us needs to be treated. By the time we were done giving a voice to the thinking behind his rage, he tearfully saw that an innocent part of himself had decided ‘something is wrong with me’ many years ago, and had been using others to validate his worthiness. As long as we think it’s THEM that is the ‘problem’ (or even that there IS a problem) we get to stay in our denial–so we will react, judge, protect, withdraw, or retaliate. It’s what we all learned. Walking down another street means seeing for ourselves how we projected the whole survival script onto others. and that we don’t need them to change in order to find peace. I’m looking to expedite a time when children grow up knowing that if there appears to be a problem, everyone knows it’s an “INSIDE JOB.” Opening your heart and mind to the symmetry held in what you are reacting to gives a reliable shift into a little (or a lot) more heaven than you had before you let it show you. Whatever has the power to bring on fear, anger, despair, sadness, or the hell of regret (my old reliable hell) INHERENTLY HOLDS WITHIN IT our freedom from that very thing. Once we know what to do with it. (If you want to know more about that reliable HOW or see that it will work just as dependably for you as it does more me, I will be happy to share all we’ve learned about this immutable principle). This way of being that stops the repeated hell of our Groundog Day lives is a complete free-fall into love–loving life as it shows up. It means trusting that what you have is exactly what you need–until you notice that you have something else. It means you will live from a place of the most clarity and effectiveness you can muster–LOVE–having compassionately questioned and seen through the thoughts that were keeping you from it. And it means letting go of the outcome–in absolute humility that you can’t know what a ‘better’ or ‘worse’ outcome would really look like. If it’s not hurting, great, you’re living the dream. If it is hurting, great–it’s showing your path out of the pain. So there’s nothing to fear.As one of my great teachers, Byron Katie would say, ” If you find yourself in a nightmare, wake yourself up to what you’re believing. THAT IS THE PATH TO ABSOLUTE SAFETY. Learn to give the little underground savior–the one who has been trying to ‘help’ you with some pretty wacky thinking–the day off (it really just wants to play, sleep, cuddle and be fed). Tune in next Sunday to Part III of III for the punchline on how it works, and where you can get it. Again, Happy Groundhog Day! Here’s to old patterns repeating, until we are willing to be shown. Feel free to call me (443) 607-2456 or book a free GROUNDHOG SUPPORT session with YOUR Ground Hog day moments here. Then COME BACK and click ‘learn’ to learn more about this fun, affordable, life-changing program. BUT LIVING UNDER ALL THAT OLD MUD IS NOT FUN FOR HUMANS! So if you’re really not sure about the AAA Manifestation Mentoring Mastermind. EVEN IF YOU’VE ALREADY BEEN IN CLASSES OR GROUPS. I’D LOVE TO GET CAUGHT UP.